BCIT acknowledges that we are located on the traditional territories of the Coast Salish People, specifically the Musqueam, Tsleil-Waututh, and Squamish. In the spirit of Orange Shirt Day, BCIT is proud to announce the continued funding of the Diversity Circles’ events, created in partnership between BCIT and the Faculty and Staff Association (FSA). What started as a conversation between the two co-founders, BCIT faculty member Shannon Kelly and BCIT Indigenous Special Projects and Indigenous Services Advisor Zaa Joseph, on the increasingly diverse BCIT community, has turned into a movement for opening up a dialogue around diversity. Two and a half years ago, Diversity Circles launched its first event, and since has hosted over 70 panels, workshops, and conversations for BCIT employees to learn how to best engage with the increasingly diverse student population. 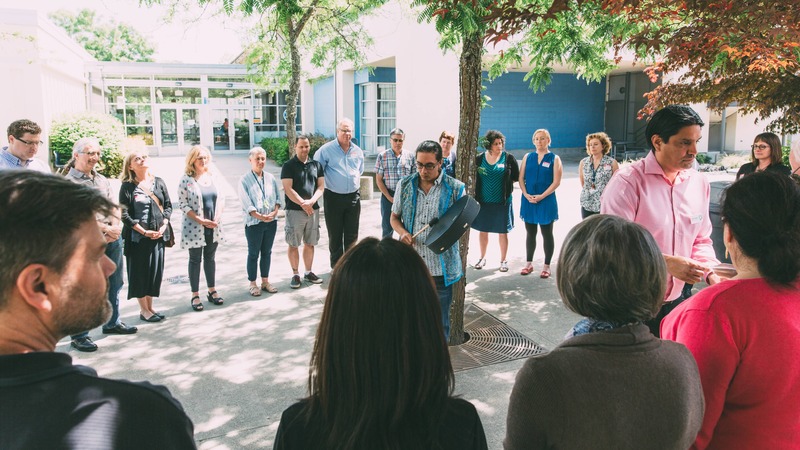 An Indigenous framework is used at every event, an approach that places BCIT’s commitment to diversity at the core of every conversation and all of the participants equally around it. This promotes the fact that every person and group involved participates as an equal and are all connected to the same goal: to welcome and embrace diversity. BCIT President Kathy Kinloch directly supported the institute committing to ongoing funding for Diversity Circles, in recognition of the positive impact of the initiative on campus. In her announcement about Diversity Circles funding, Kathy said, “This funding commitment is also made in honour of outgoing FSA President Teresa Place, to recognize her many years of dedicated work advancing diversity and inclusion on our campus”. As part of the project, a Digital Diversity Map has been created, which maps linkages between different knowledge holders and diversity resources within BCIT and the larger community. Learn more about Diversity Circles and how the Indigenous Services Team supports all members of the BCIT community.